“We plan to add a number of creative elements such as animated scarecrows and light projection, making pumpkins come alive making Carefree the first place in the country where they all come together in one place.” says, Marketing Director Gina Kaegi. 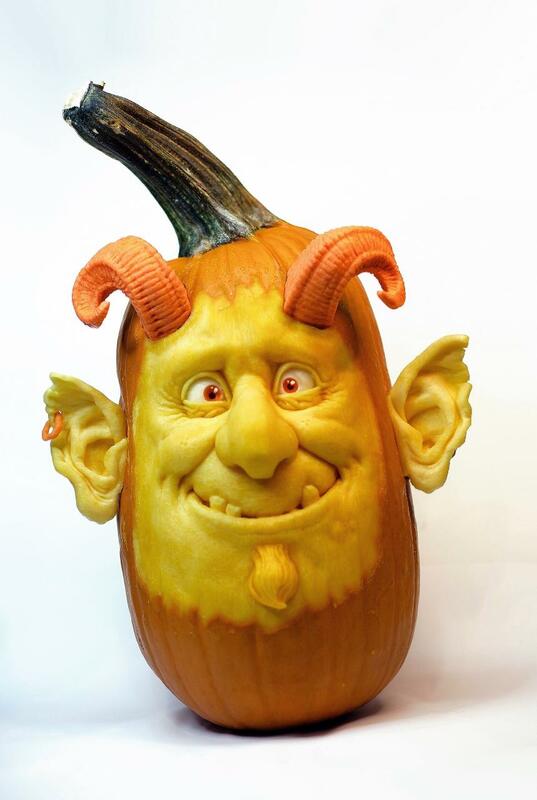 Based upon the overwhelming success and attendance of the “Enchanted Pumpkin Garden” this past October, the Carefree Town Council unanimously voted on February 5, 2016 to extend the Town’s relationship with world renowned sculptor and artist, Ray Villafane, for events through 2016/17. Mark your calendars to attend the one-of-a-kind exhibit by the world’s pioneer in Halloween culture. Rated by Phoenix Magazine as one of the Valley’s Top 10 Things to Do in October 2015, from mid to late October the Carefree Desert Gardens were the home of one of the most dramatic and enjoyable Halloween displays in the entire Valley – and country for that matter. 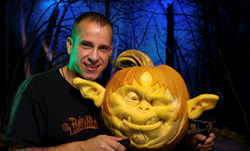 Ray Villafane and his team of world class artists and sculptors carved three spectacular 400 pound pumpkins, along with clever and humorous vignettes featuring pumpkins frolicking throughout the Gardens. The “Enchanted Pumpkin Garden” drew more media to Carefree than the town had ever experienced. Carefree was featured on ESPN Monday Night Football, broadcast in 103 countries, in a 12 minute segment on NPR, and as the feature story in numerous Arizona based magazines. The event garnered coverage at least twice on every major television station in the Valley. Ray’s carvings were the darlings of social media and drew attention from throughout the country. Ray and his creative team have become inspired by working in the Gardens of Carefree. Carefree residents and visitors responded to their warmth and talent by visiting the Gardens in greater numbers than ever seen before. Over 30,000 people came through the Gardens during the sixteen day event. The Town will extend Ray’s services to a year round partnership that will include multiple artistic exhibits such as sand sculpting. Villafane says he is looking into moving his family to Carefree and working on some permanent art in the Gardens, and is honored that the Town has invited him to do more. “The Gardens seem like a good fit for me to be inspired and create at the highest level,” he said. For more more details on the 2015 exhibit visit CarefreePumpkinGarden.com. More photos of Ray Villafane’ s work visit VillafaneStudios.com. Pumpkin Creation by Ray VillafaneThis pumpkin was created out of 4 different elements: sweet potato, white potato, carrot and pumpkin.